I have heard of dating “safe calls” for first dates, but the idea of a Toronto meeting room safe call is new to me. Often, when people are meeting for the first date that has been arranged as a blind date or a date over the Internet, they will have a friend make a safe call partly through the date to make sure everything is okay. This is a great way to protect oneself without raising the suspicion of the other person. 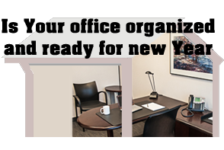 The idea of a Toronto meeting space safe call first came to my attention when someone at my office space Toronto asked me to make a safe call for them. He had a new vendor that wanted to meet with him, but was afraid this vendor might be a time waster. He wanted me to call him at his office number and ask how things were going. If the meeting was dragging on with no productive end in site, he would treat my call like an urgent request and use it as an excuse to end the meeting. If the meeting was going well, he would not even pick up my call and just ignore it. When I asked someone else in my Toronto office space if they had heard of this, they said that they would sometimes ask the receptionist or someone else who worked out of the Toronto meeting room space to call halfway through the meeting. Another office space Toronto client told me that he used a wake-up service to call his phone at a prescribed time and talked to the pre-recorded message as if it had been a real person on the other end. Upon hearing these stories, I felt that I had been missing out on something and wanted to tell others about this great strategy.